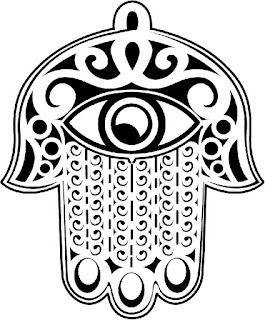 Hamsa is an amulet in the shape of an open hand, its source is Muslim and is supposed to protect against the evil eye. Hamsa means in Arabic: five. According to Islam the five fingers symbolize the five pillars of Islam: faith, prayer, charity, fasting and pilgrimage. 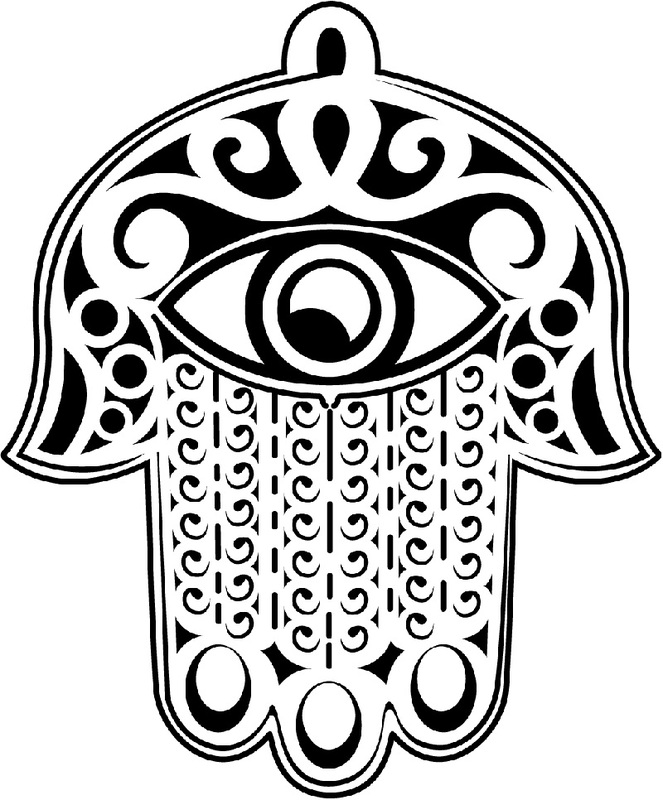 Hamsa also called hand of Fatima and represents femininity, and is referred as the woman's holy hand. Want to paint Hamsa? Click the hamsa that you want to paint, print it and paint.